The Samsung Galaxy Note 3 is an impressive flagship smartphone, and its release is gradually rolling out. If you’re a Verizon customer and have been waiting for this phablet device to arrive on the carrier then you’re in luck as it is now available. Even more pleasing news is that the Samsung Galaxy Note 3 price on Verizon has been bettered. Verizon Wireless has now launched the Galaxy Note 3, but as we previously informed readers the price from the carrier itself will set you back $299.99 on the usual two-year contract. However, why pay that when you can pay much less from another source. Logic Buy is now selling the Galaxy Note 3 on Verizon for only $209.99 on contract, a whopping saving of $90. That makes this phone much more affordable to many people and is something you might want to take into account if you’re just about to buy this phone. However, you may want to be quick because this low price may only last a few days as the website says it expires on October 15 or sooner. 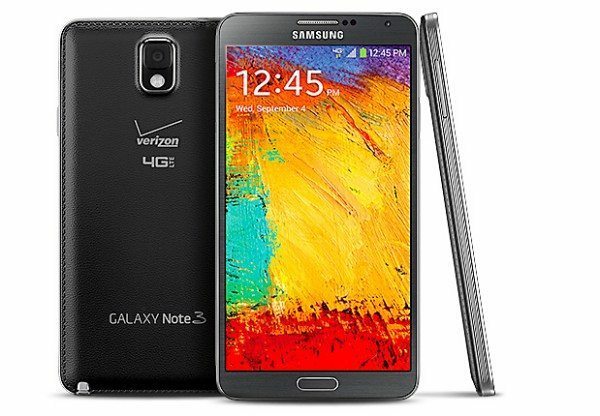 If you’re already tempted then we’ll remind you of some of the key Verizon Galaxy Note 3 specs. They include a 2.3GHz quad-core processor, a 5.7-inch Super AMOLED display with Full HD resolution, 3GB of RAM and 32GB of internal storage (expandable via microSD). It also has a 13-megapixel rear camera, 2-megapixel front-facing camera, a 3200 mAh battery and it runs the Android 4.3 Jelly Bean operating system. If you’re not sure whether the Galaxy Note 3 is the choice for you then you may want to check out our video review roundup of the phone for more insight and a closer look. If you want to order it right now you can do so at Verizon here or Logic Buy here. Were you just about to purchase the Samsung Galaxy Note on Verizon? Will you still be getting your phone directly from Big Red or heading to Logic Buy? I got it at T-Mobile for $65.